Peter Gabriel's video for his 1986 Billboard Hot 100 number-one single, a collaboration with Aardman Animations which set new standards for the industry and became one of the most awarded videos in history. 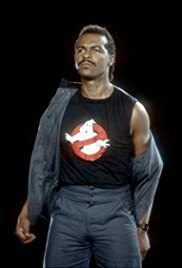 Ray Parker Jr. ... Ray Parker Jr. This is a classic music video from the film, however there is someone that pops up at :43 into the video that we don't know and he isn't IMDb listed. Believe he was a part of the production team named 'Woody - somebody' but we're not certain. Wonder if anyone out there knows/Thank you.